Signal Conditioners - Signal Conditioning Manufacturers | TALON Technical Sales, Inc.
Signal conditioners are used to convert sensor output signals to a format that is acceptable to your data acquisition system or process controller. TALON Technical Sales proudly distributes high-quality signal conditioner brands including Wilcoxon, Hoffer Flow Controls, Tovey and RDP. Contact a TALON specialist about your applications and requirements, we will be able to find the right signal conditioner for you from one of the expert signal conditioner manufacturers we represent. For over two decades, TALON has been working with clients and signal conditioner manufacturers in these specific fields and industries. Time and again, our sales and technical staff have a knack for matching our clients with the right products for their requirements. Contact us today, and we will happily answer any questions you may have while helping you find an efficient solution for your project from one of the signal conditioner manufacturers we represent. Wilcoxon is the world’s leading manufacturer of accelerometers, vibration sensors, vibration signal conditioning, and network accessories for industrial condition based monitoring and predictive maintenance applications. The Intelligent Transmitter (iT) Series is a complete family of units that provide signal conditioning for simplified online vibration monitoring and provide a Total Lower Cost approach to continuous monitoring. 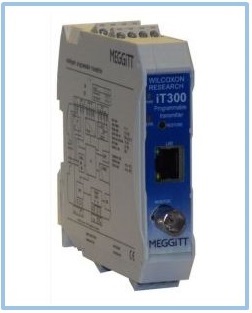 The iT Series includes the iT Transmitter, iT Alarm and iT Communication Module. Hoffer Flow Controls was incorporated in 1969 in the state of New Jersey. For over thirty years Hoffer Flow Controls has been designing and manufacturing quality turbine flow meters and related process instrumentation. Our initial experience was in the field of cryogenic flow measurement. Today our reputation in this field is synonymous with quality. Tovey Engineering was founded in 1995 to advance the state-of-the-art in high performance load cells and to provide a sophisticated force measurement resource for mechanical test engineers and force and torque metrology labs. To complement the full range of load cells, Tovey has signal conditioning and instrumentation to meet current application needs. RDP furnishes a wide range of LVDT products to meet demanding applications. Signal conditioning is required where the output of a transducer needs to be boosted or changed into a form suitable for the monitor or logging device which will be used. These amplifiers are suitable for LVDT transducers, strain gauge sensors and some internally amplified transducers.